UPPER: Rich, waterproof, full-grain leather upper. MIDSOLE: Full-length visible Air-Sole unit for the ultimate in cushioning. OUTSOLE: All-Trac outsole compound and lug pattern for maximum traction and durability. 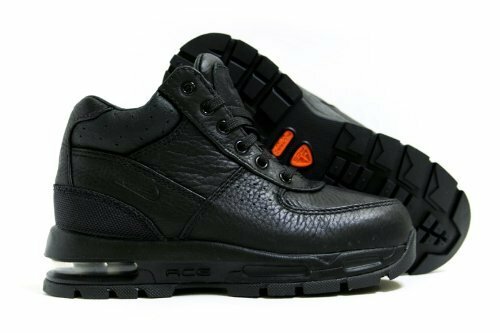 A richly detailed leather boot with all the benefits of Nike Max Air cushioning.